How are you using video in your classroom? mysimpleshow is a digital learning resource for do-it-yourself explainer classroom videos. I shared this online tool last year. So I’m excited to bring you a handful of new tips for innovation in the classroom! It’s easy to get started, and the videos you and your students can create with this tool are super impressive. 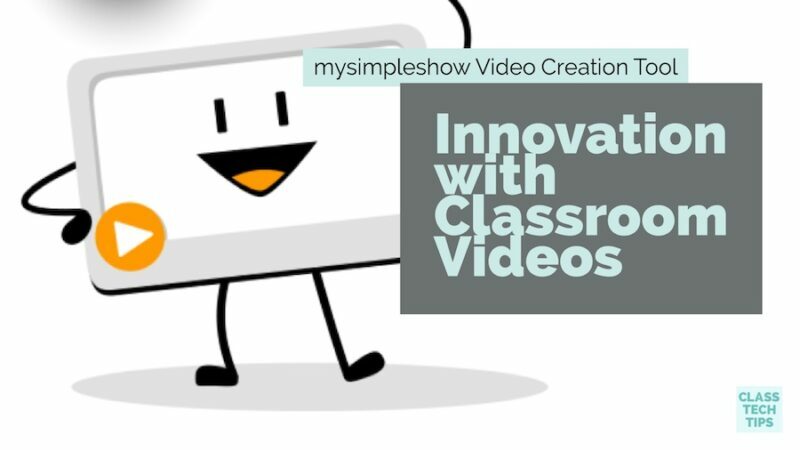 Learning tools like mysimpleshow are teaching resources for any educational video creator. You can communicate all of your teaching ideas through an animated video. This can make your lessons accessible, clear and engaging for students of all ages. The videos you create with mysimpleshow aren’t just fun to watch. They serve as learning materials for students of all ages. As teacher-creators, you can decide how to present new information to students. You might choose to use videos and empower students to become content creators too. If you’re looking to get started with classroom videos, I’ve put together a list of a few tips to help you jump in. 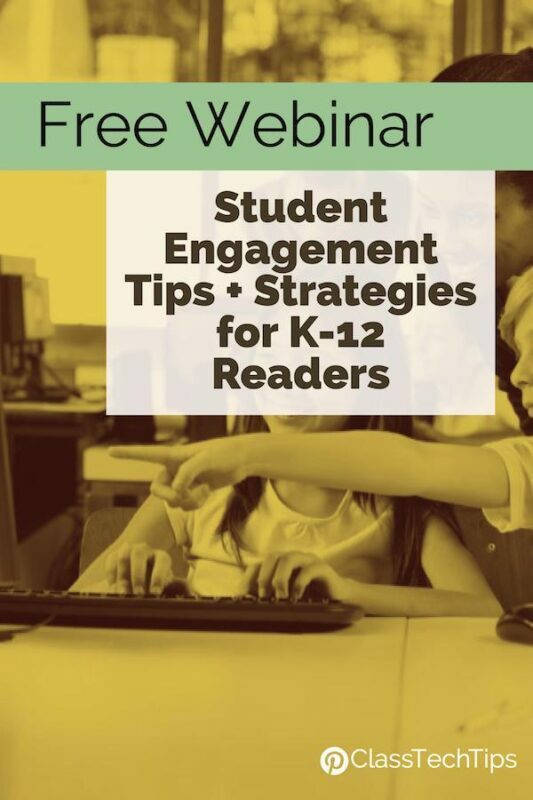 These ideas can be tailored to the learning goals you have identified for students whether you are the one creating the videos or you are supporting students as creators of shareable content. As a personal narrative or memoir activity, students can create an explainer video that tells the story of a special moment from their lives. This event could have taken place over a holiday break, summer vacation or anytime during the school year. Students can combine images they’ve captures with other pictures they have curated. As students start of the new year, you might ask them to create an explainer video that documents their goals for the remainder of the school year. This is a great way for students to reflect on their progress and think forward about what they would like to accomplish. mysimpleshow can be used to help teachers flip their classrooms by creating videos that summarize a topic. These summary videos can refresh students’ memory about the information they’ve been previously introduced to, or give them a chance to explore new information. If you normally share PowerPoint, Google Slide or Keynote presentations with your students, try adding a video to one of your slides. This is especially useful if you are sharing presentation files for students to view outside of classroom hours. They can move through a slide deck with information and pause where you have strategically placed a video for them to view. Videos are useful when you are looking to give students more opportunities to pause and chat with a partner about their learning or want to engage in a discussion with your whole class. You can play and pause videos at certain points to ask questions, spark discussions, hold an assessment, or start a group activity. When students work together, they can build skills around teamwork and create relationships with their peers. Students can work in groups or partnerships to create scripts for an explainer video. This can help them summarize what they’ve learned about a topic. 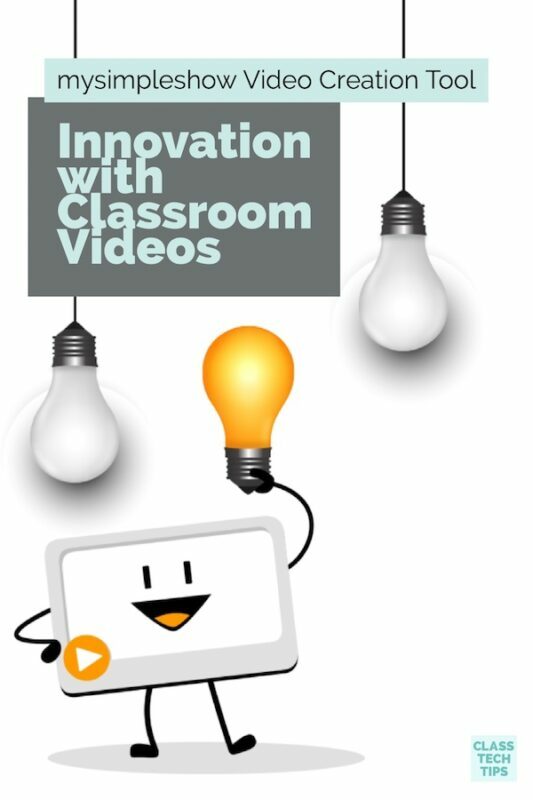 There are lots of innovative ways to use classroom videos this school year! As teacher creators, you can make videos to share content with students throughout the school year. Students can make their own videos too! Learn more about mysimpleshow by visiting their website! 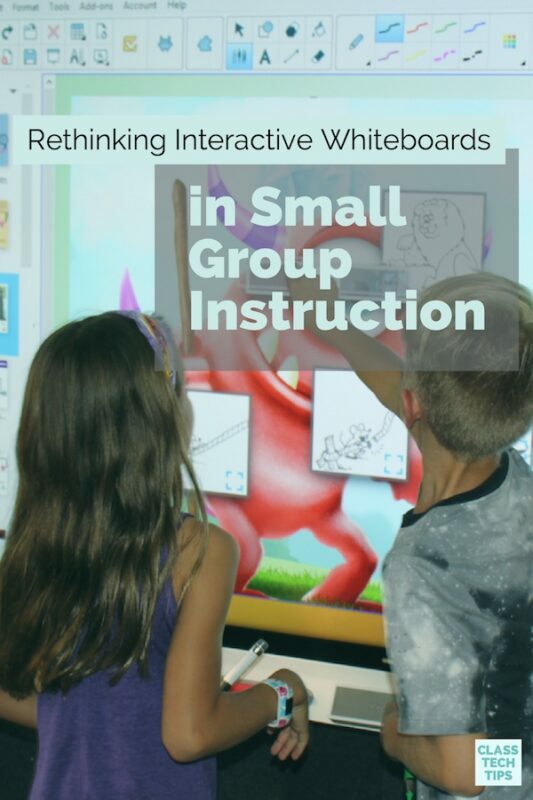 I really love this blog, because it really encompasses the power that animation and videos can hold within a classroom! I am a future elementary school teacher, and I have seen first-hand that videos can capture the attention of the students while also providing them with knowledge that they can carry with them forever. I think that technology is omnipresent and is only growing each day, so myself and other future educators must learn how to use tools like ‘mysimpleshow’ to help our students learn in new, different, and exciting ways. What would you recommend for students that had certain unique needs? Would these resources be good and easily accessible for them or their parents as well?